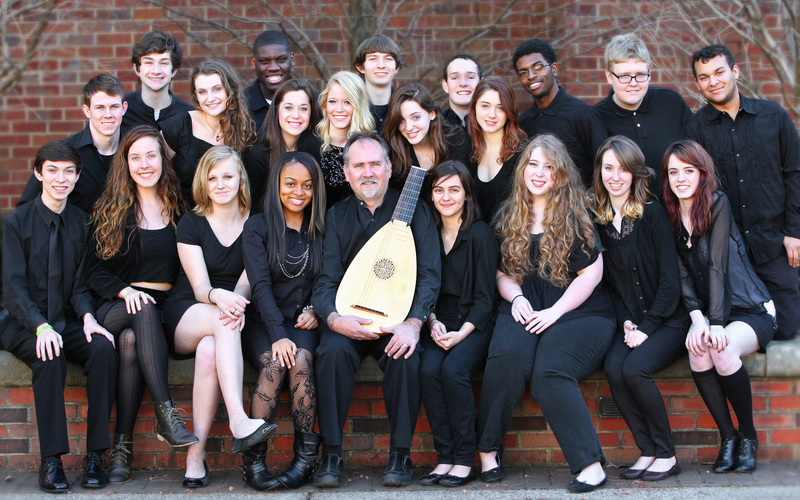 In the fall of 2012 I was the choral director at Nashville School of the Arts (NSA). We had had a successful previous year, including a performance of seven choruses from the Mozart Requiem and Bohemian Rhapsody with Music City Youth Orchestra at TPAC’s Polk Theater in May, and we had some money in the bank. That fall the officers of the NSA Choral Boosters (the choirs’ parent support organization) and I put together a Florida tour for the choirs for the spring of 2013. We had a terrific fall that year, including a lucrative fund-raising event that December at the choirs’ annual Tastes & Sounds of the Season event. It looked like plans for the tour would be successful until the deadline for students to submit their deposits came and went and…not enough students from each choir indicated that they were planning to go for us to be able to have successful performances. We canceled the tour. At this point we had accumulated a fair amount of money – some thousands of dollars, I don’t remember exactly how much. Our parent support organization was very active, and excited about supporting the choir program. Like any choir program, we had numerous expenses, only some of which were contributed directly by the students and their families (a voluntary annual donation which only about 25% of the families made, and the students supplied their own performance wardrobe). Expenses over the course of the year included music, folders, transportation costs, printing and publicity, photography, food etc. Since Nashville School of the Arts does not have an adequate performance hall for choral concerts, it was necessary to rent (in the case of TPAC) a venue, the cost of which can be very expensive. In the late fall of 2012 the symphony invited me to bring the NSA Madrigal Singers to perform with them and The Chieftains, who were playing on the Pops series in the Spring of 2013 and had requested a choir. One afternoon during finals week in December I took the choir to Blair School of Music to have a publicity photo taken, as a local photographer I know was already shooting a portrait there and it was the only available time for her to photograph us on short notice. After the pictures had been taken, Pam Schneller, Blair’s Associate Dean for their Pre-College and Adult programs happened to be walking by as the choir was singing. It was a fortuitous event, for me, the choir, and NSA. Pam and I had a conversation that afternoon after the choir was dismissed, which led to more conversations that Spring and Summer. The result was that Blair donated the use of Ingram Hall for our Spring Concert that year, and the following year we formalized a partnership between NSA and Blair School of Music which still continues, providing many opportunities throughout the school year for the two institutions to collaborate. One result of this collaboration was that Blair School offered NSA the use of beautiful Ingram Hall for our Choirs’ Spring Concert – completely free, including the costs of paying their own production staff to assist with the dress rehearsal and the concert. This tremendous gift – which Blair School has given to NSA for three years in a row now, along with opportunities to perform in Turner Recital Hall at Blair as well – meant that the choirs did not have any facilities rental costs for this event, which was typically a fund-raiser. The NSA Choirs only held one fund-raising event each year (a silent auction in December), and otherwise relied solely on ticket sales at December and May performances and donations for revenue (we never asked our students to sell candy or magazines or wash cars, etc.). As well as being an ideal setting for our Spring Concert – a beautiful, formal concert hall with wonderful acoustics – this gift was a financial windfall for the choirs, and I became aware that we needed a goal to work towards. Our boosters organization was gung-ho about helping out with many of the mechanics of our activities and raising the funds necessary to pull off our ambitious programs, but with a tour out of the picture for the time being (I did not plan to program one in 2013 after the 2012 tour tanked) we needed something exciting to put all the money we were raising towards. 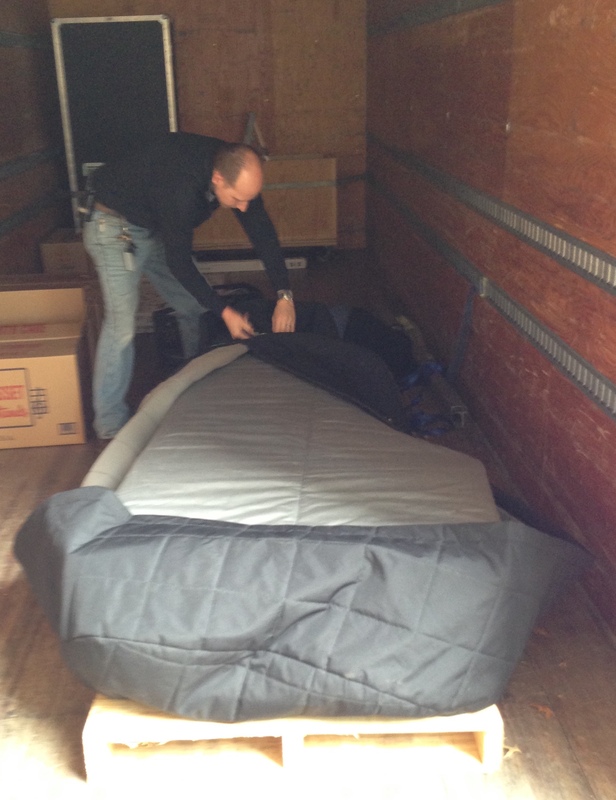 So I starting to talk about the idea – which I had had for a while – of purchasing a harpsichord for the program. To my delight (and I must admit, it was something of a surprise to me), students and parents were enthusiastic. To some, purchasing a harpsichord for a public high school choir program may seem like an esoteric and extravagant pursuit, but to me it made perfect sense for the kind of program I had inherited from Michael Graham (the previous director) and which I was continuing to try to build. I’ve had a lot of success teaching Baroque music to teenagers. Much of my personal study and experience as a performer has concentrated on the music of this period, and I felt it was something I was particularly well-prepared to bring to my students. When I was music director of Music City Youth Orchestra we featured either a solo concerto or a concerto grosso (or both) on nearly every concert, alongside music from other periods and contemporary music, exploring many works by Bach, Corelli, Vivaldi, and Händel over the years. A lot of this repertoire presents appropriate technical and musical challenges for teenaged students, and I think they respond well to the music’s rhythmic vitality and quickly changing emotional content. Teen musicians don’t like playing music that has been “watered down” – they want the challenge that comes from mastering original compositions (instead of arrangements) and from performing entire works (instead of excerpts). My choirs at NSA included two early music ensembles and I also taught a chamber music performance class in which students performed music from many periods including the Baroque. As I have written about here before, it was my custom to teach all students at least one work by our friend Sebastian every year, and I had ambitions towards studying and performing larger scale Baroque works with the choirs. 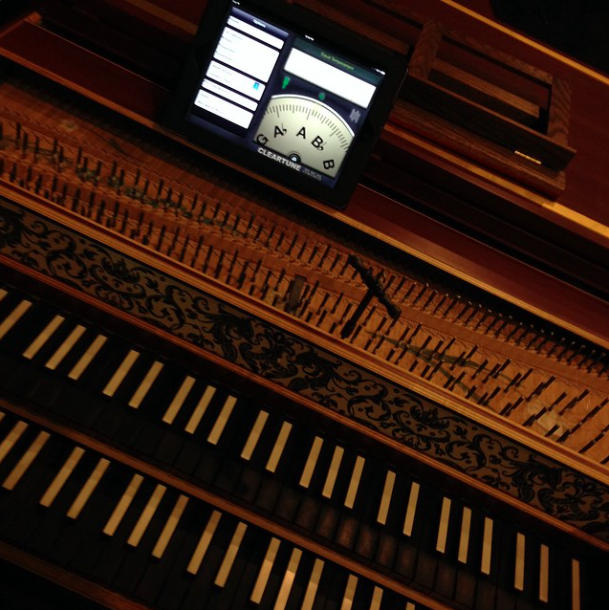 A good harpsichord would allow the students to experience rehearsal and performance of many choral masterpieces in a more “authentic” – and in many ways more satisfying – way than attainable without one. I remember talking to Adam on the phone in that initial conversation and after telling him what it was we were looking for, being floored when he told me that he had just the instrument we were looking for sitting in his living room, it had not yet been put on the market yet and would I like to come down to Atlanta and play it? I had expected that it would take a search lasting months to a year or more, and although we had accumulated substantial funds at this point, we were not yet ready to make a complete purchase. So I did drive down to Atlanta on March 18, 2014 and met Anna. I took a stack of harpsichord music with me and played her for about an hour, shooting some video to show folks back home and (hopefully) to start raising the rest of the funds necessary to purchase her. It was obvious from the moment I began to play her that she was the right instrument. A double-transposing (A = 392, 415, or 440) double manual Franco-Flemish instrument with two eight-foot choirs, a four-foot choir, buff stop: the works. She has a beautiful tone throughout all registers in each choir and a rich strong bass tone very effective for continuo. And she is gorgeous and in excellent condition! Adam Decker built the instrument in 2005 for the Boston Early Music Festival that year; it had been purchased by an attendee to the festival who decided to sell it after eight years and had asked Adam to broker it. I returned to Nashville and easily convinced the choral boosters officers that I had found the instrument much earlier than expected, and that we would need to move on it or she would be put up for sale and be purchased out from under us. An appeal for donations was made, we put down a deposit on the instrument, and worked out a deal that would allow us the rest of 2014 to make payment in full. In lieu of my usual bonus question on the final exam that Spring, I asked the students to vote on a name for the instrument, and they chose Anna in honor of our friend Sebastian’s second wife Anna Magdalena. It all worked out. Adam delivered the harpsichord to NSA at the beginning of May, and Michael Graham played her in our chamber choir’s performance of J.S. Bach’s Cantata BWV 106 “Gottes Zeit ist die allerbeste Zeit” later that month at Ingram Hall, with musicians from the Nashville Symphony and Music City Baroque in the orchestra and soloists Tucker and Mary Biddlecombe from Blair School, Shreyas Patel from Portara, and Brooke Semar from the NSA choirs. We had a successful fall fundraiser and finished paying off the balance we owed in December of 2014. Except, in early November I accepted a new position at the Nashville Symphony, and left my teaching job at NSA on December 19. I did get to play Anna with my choirs last fall – most notably with a small string ensemble accompanying the Hallelujah Chorus – and played continuo on performances of Corelli’s Christmas Concerto and Sebastian’s A minor violin concerto with the chamber orchestra in our Fall Concert. But when I packed up my things and left the studio at the end of the semester, I expected that I was saying goodbye for good. However, sometime in January the story of how we acquired a good harpsichord for the high school choral program across town came up in a conversation with Larry Tucker, our Vice President of Artistic Administration, who immediately asked me if NSA would be willing to rent or loan the instrument to the symphony – expressing chagrin that he had not known about the instrument previously as it would have been very helpful to have had her for the symphony’s Messiah performances in December. I learned that the harpsichord that the symphony owned is in fact not usable for performances for various qualitative reasons and that it has been necessary to rent instruments or require that guest harpsichordists provide their own instruments. The Nashville Symphony has not performed a large number of Baroque works in recent years besides the annual Messiah performances, but for the 2015-2016 season we have programmed a performance of Vivaldi’s Four Seasons on September 27 and four performances of the complete Brandenburg Concerti October 22-25 in addition to four performances of Messiah in December: all of which require a good harpsichord. The symphony paid NSA Choral Boosters exactly what the Boosters had in turn originally paid for Anna, and now the NSA choirs have a substantial fund for future projects. 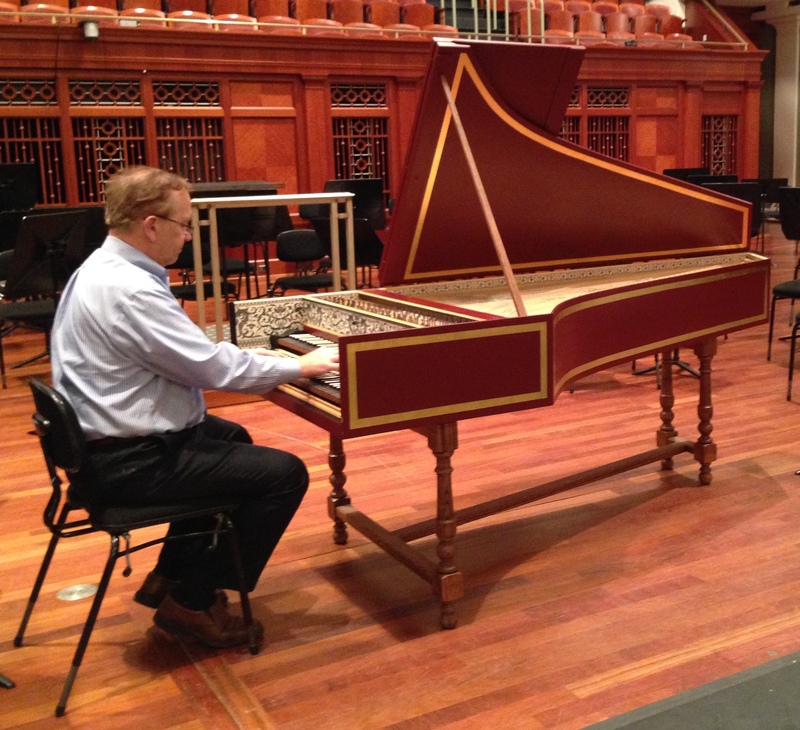 The symphony now has a fine harpsichord that will be heard by thousands of people next season and in the years to come, in the orchestra’s programmed concerts of Baroque literature, and perhaps occasionally in educational or Onstage programs as well. When she is not on stage in Laura Turner Hall, Anna hangs out in the voicing room in the basement under the stage where she has very good company: the console for Schermerhorn’s magnificent organ and three Steinway grand pianos – a seven-foot and two nine-foots (one from Hamburg and one New Yorker). And that is the story of how Anna joined the symphony. 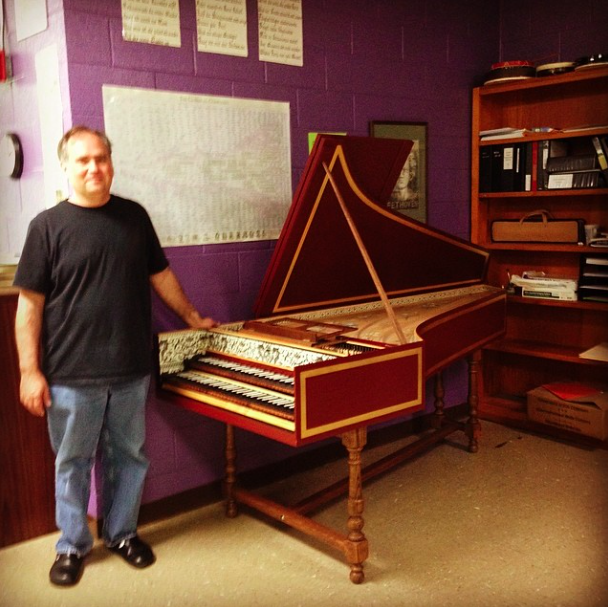 By walterbitner in Baroque, Choral, Early Music, Music Education, Nashville Symphony, Piano & Harpsichord on May 16, 2015 .